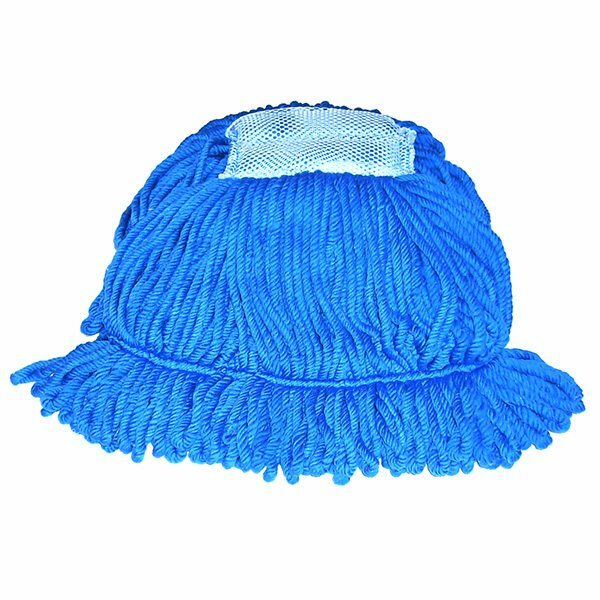 This microfiber mop will pick up twice as much liquid as a standard blended, looped-end mop. Can be used as a wax application mop. Use with Jaws type wet mop handles. Can be laundered hundreds of times. Case Weight - 16 lbs. Case Cube - 1.413 ft.